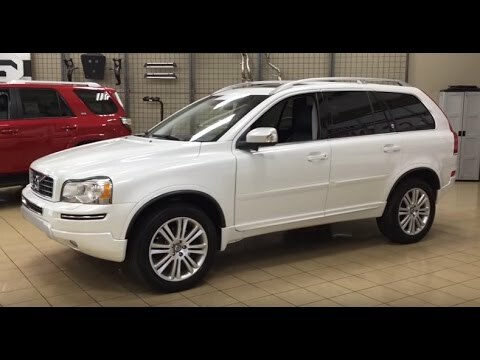 When shoppers put safety at the top of their automotive priority list, the 2014 Volvo XC90 automatically moves to the front of the line. Volvo's 7-passenger crossover SUV may be aging, but it still comes well equipped, offers a variety of options and sports a clean, uncluttered interior that has withstood the test of time. It has these plugs in both back seats for headphones or earbuds. First of all, it's a gas hog. Approx. $60. 00 to fill up (it can only use the most expensive gas) it lasts about 1 week. All of the fluids(besides wiper fluid) Have to be for a Volvo. But I love the room it has inside & its a very comfortable vehicle. The stereo sounds great. The back seats lay flat for carrying large objects. I feel that its a safe vehicle. It is a solid, safe, and functional design that works in every situation. It has a great design and very high quality materials. I love the memory driver seat and automatic wipers. My only dislike is the older generation six-cylinder engine, which is lacking some power and has poor fuel economy. I know newer models have a turbo 4 which is probably better. It is very safe without losing any feeling of comfort. I love the feel and interior space/layout of my car. It is very comfortable to drive and ride in. The seats can be slightly difficult to put down occasionally and I wish there was an easy place for trash but these are minor complaints compared to my overall love for the car.